There has been an element of unseemly haste and even recklessness in some of the recent acts of the Bharatiya Janata Party (BJP). Such hurried initiatives have been seen in its impetuous bid to start the construction of the Ram temple as soon as possible and now in the peremptory dissolution of the Jammu and Kashmir assembly. What is more, the motives for these rash steps are so palpable that it does little credit to the party's capacity for hiding its tracks. In the case of the temple, for instance, it is obvious that the rush for starting work is related to the BJP's and the Sangh parivar's belief that the only way to bolster the party's seemingly dwindling electoral fortunes is to lay the foundation stone for the temple. In Kashmir, the swiftness of Governor Satyapal Malik's step to dissolve the assembly can be easily ascribed to the possibility of the BJP's opponents in the state being able to form a government by cobbling together a mahagathbandhan (grand alliance). It appears that the BJP did not foresee the likelihood of the three constituents of the alliance -- the Peoples Democratic Party (PDP), the National Conference (NC) and the Congress -- coming together to form a government, presumably because the PDP and the NC are not the best of friends. 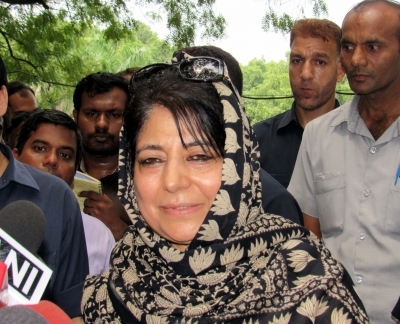 Since their combined strength of 55 members, comprising the PDP's 28, the NC's 15 and the Congress's 12, gives them a comfortable majority in the 87-member legislature, dissolving the House was the only option left to the Governor and the BJP to stop them even if it does not meet a judicial challenge. One of the explanations which Malik has given for his hasty act was to prevent "horse-trading", an euphemism for the crossing over of the MLAs of one party to another. But the three claimants to the seat of power had no need for horse-trading since the numbers were on their side. If any horse-trading was indeed taking place, it was probably at the BJP's behest as it tried to wean away MLAs from its erstwhile ally, the PDP, and even the NC in order to form a government with the willing assistance of Sajjad Lone of the People's Conference. It is possible that the PDP and the NC decided to pre-empt the defections from their parties by coming together despite their long-standing mutual animosity. To strengthen their position, they also roped in the Congress even as the latter displayed its habitual caginess by saying that the unity move was only a proposal. How upset the BJP was at the likelihood of Kashmir suddenly slipping out of its grasp was evident from the normally level-headed Rashtriya Swayamsevak Sangh (RSS) pointsman in the BJP, Ram Madhav, seeing Pakistan's hand behind the gathbandhan. 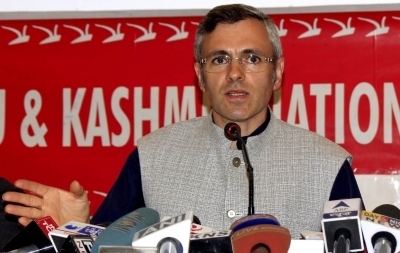 Although he later backtracked on being challenged by the NC's Omar Abdullah to prove his allegation, the insalubrious episode again showed how eager the saffronites are to brand their opponents as anti-nationals. In Kashmir, the anger of the Hindutva brigade may have been all the greater because they were on the verge of being outmanoeuvred by the "anti-nationals", thereby frustrating all of the BJP's efforts to maintain its grip on the state which started with the appointment of Malik, a former member of the party, as the governor in place of the neutral bureaucrat, N.N. Vohra, who could not be expected to play a partisan game. Malik, on the other hand, was apparently posted in Srinagar to oversee a transition of power to a BJP-friendly government when the unthinkable happened with "enemies" becoming friends as Mehbooba Mufti and Omar Abdullah joined hands. If the current understanding between these two former adversaries survives till the assembly polls and beyond, then the idea of a mahagathbandhan may strike roots in the state and even exert a favourable impact on similar endeavours elsewhere in the country. Prima facie, a PDP-NC-Congress alliance should have little difficulty in winning in Kashmir, thereby beginning a new and unexpected chapter in the state's politics which can go some distance in dealing with the threat of terrorism and lessening the alienation of large sections of the youth from the political system in the Valley. The coalition will also have to bring the pro-BJP "Hindu" Jammu closer to the "Muslim" valley, a divide which has become wider ever since the BJP's politically successful (though socially divisive) entry into the state. For the present, all eyes will be on seeing whether the two young leaders, Mehbooba Mufti and Omar Abdullah, are able to let bygones be bygones and chart a new path together for their parties and the state. They cannot deny that the BJP's presence and its use of the Governor's office a-la the Congress of yore helped them to come together. There is nothing like a formidable and cynical adversary to concentrate the mind.